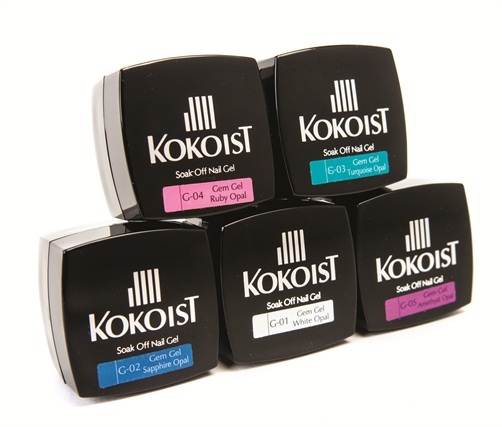 Kokoist USA Soak-Off Nail Gel introduces the Gem Gel Series featuring Kyoto Opal sparkles infused in the gel. The Kyoto Opal suspended in the gel adds a unique aesthetic and deep radiance to nails. Colors include White Opal, Sapphire Opal, Turquoise Opal, Ruby Opal, and Amethyst Opal. For more information, visit Kokoist USA.